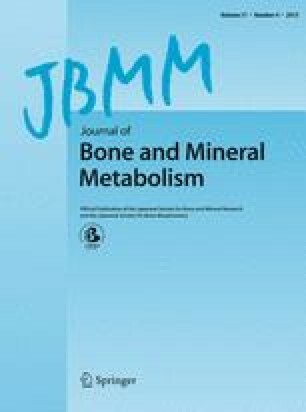 Calcitonin is employed in clinical treatment to improve bone mass in osteoporosis and to relieve its accompanying pain, but its analgesic mechanism is still unclear. Using ovariectomized (OVX) rats that are well known as an animal model of osteoporosis, the antinociceptive effect of elcatonin ([Asu1,7] eel calcitonin, ECT), a synthetic derivative of eel calcitonin, was examined with the tail-withdrawal nociceptive test. Prolonged hyperalgesia was induced by OVX, and the antinociceptive effect of ECT was proved because peripherally and repeatedly administered ECT improved hyperalgesia. This effect of ECT was completely abolished by injections of p-chlorophenylalanine (PCPA), an inhibitor of serotonin biosynthesis, suggesting that the serotonergic system may be involved in antinociception. Spinal cord slices that retained an attached dorsal root were prepared, and blind whole-cell recordings were made from substantia gelatinosa (SG, lamina II) for electrophysiological analyses of a relationship between the effect of ECT and the serotonergic system. The descending serotonergic fibers, one of the inhibitory systems for nociceptive transmission, originate from the nucleus raphe magnus and terminate preferentially on SG of the spinal dorsal horn. Excitatory postsynaptic currents (EPSCs) evoked by dorsal root stimulation were then recorded from SG neurons, and the effects of serotonin on the EPSCs were compared in sham-operated and OVX rats. In addition, influence of ECT administration to OVX rats on the effects of serotonin was also examined. Glutamatergic short- and long-latency EPSCs, mediated by Aδ and C afferent fibers, respectively, were observed after stimulation of the dorsal root, and both were depressed in amplitude by serotonin in sham rats, whereas only Aδ-mediated EPSCs but not C-mediated were inhibited in OVX rats. Interestingly, C-mediated EPSCs were inhibited by serotonin in ECT-treated OVX as well as sham rats. A relationship between the fact that OVX induced hyperalgesia and that ECT alleviated this hyperalgesia was well correlated with changes in serotonergic inhibition of C-mediated EPSCs. These results suggest an alteration in the spinal serotonergic receptors that control the nociceptive transmission. Receptor-binding assay using spinal membranes and [3H]-8-OH-DPAT as a radioactive ligand was used to assess the change in the receptors. Although the level of [3H]-8-OH-DPAT-binding sites was decreased in OVX rats compared with sham rats, this reversed to the normal level in ECT-treated OVX rats. All the results strongly suggest that the behavioral and electrophysiological changes may be caused by an alteration in the level of spinal serotonergic receptor expression.